He Is We is an indie pop band formed in Tacoma, WA. The duo consists of Rachel Taylor and Trevor Kelly. The band's first full length album, My Forever, was released November 2010. 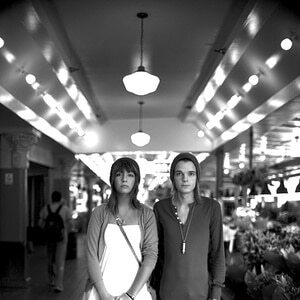 Their Old Demos album can be downloaded at http://heiswe.bandcamp.com. They met while working at Ted Brown Music Company, a music store in their home town of Tacoma, Washington. While Ted Brown Music Company was where He is We was commenced, the duo disliked the genre of music it supported.